One thing that connects us all in present times is, not love or brotherhood but something even more powerful than that. It is the Wi-Fi. And it connects us quite literally! We can’t help but stay connected even when it is encroaching on our personal space. Well, that is the topic for a different day. Right now we are going to talk about an optimized network protocol that has been in the home automation headlines for all the right reasons. Yes, we’re talking of a Zigbee Hub! What is Zigbee? What makes it the right choice for home automation? How is it better than other popular device communication protocols available in the market? Scroll down to get the answers to all these questions right away. 4 Which technology is the best for a Smart Hub and Why? Zigbee is basically a standard by which the communication takes place between various machines and appliances. There are a number of home automation network protocols available in the market but somehow Zigbee is still in higher demand than most of them. And there is a reason for that. 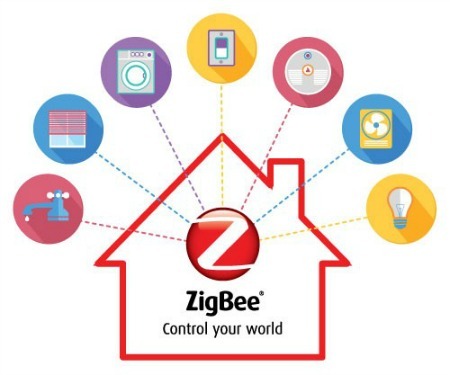 A lot of reasons make Zigbee the popular choice among smart home automation giants. However, the most significant of them all is that it consumes an incredibly low amount of energy for the data transfer. In the power-hungry world of today, both literally and figuratively, it is a valuable asset. That is why you can see a new Zigbee smart appliance being launched in the market every other day. The users know that this smart buy is only going to lighten their stress load and not add to it. Technology is truly useful only when it is able to serve a larger chunk of the community. 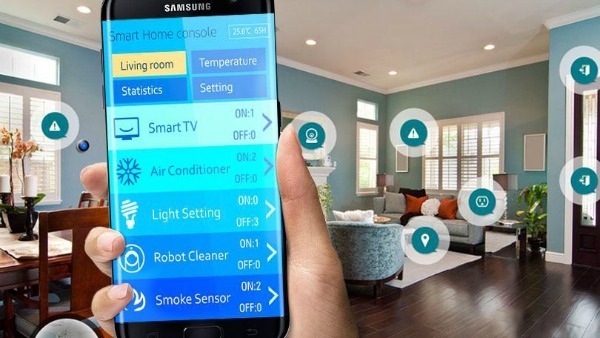 The budget becomes a hindrance for too many people who are interested in the smart home automation concept. But can’t shell out major bucks for every other smart home upgrade. This is where the Zigbee technology saves the day by offering cost-efficient solutions to people from every walk of life. Now you don’t have to worry about the high installation and monthly data prices of your home network since Zigbee is here to even out those economic troubles. Most of the times the product of your choice is itself not that expensive but the intermittent supply makes it so. Thankfully, this is not the case with Zigbee compatible appliances. Since this technology has been in the market for quite some time now, the manufacturers and users both benefit from it. The innovators keep on bringing smarter and more affordable Zigbee home automation options in the market. And the users are consistently supporting this market since they gain from it the most. You can invest in the Zigbee technology without a hint of a doubt since this technology is not going anywhere anytime soon. 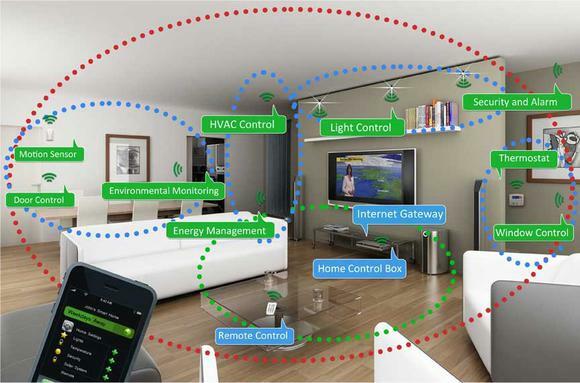 The best of Zigbee is yet to come and you would definitely want to familiarize yourself with this technology to reap maximum benefits when the time arrives. Zigbee is really good but it is not the best. Though it beats a lot of top contenders when it comes down to that. Read on to find where Zigbee score higher and where it suffers a dip. This comparison is quite close. Most of the people consider these two words a synonym for each other but it is not the case. 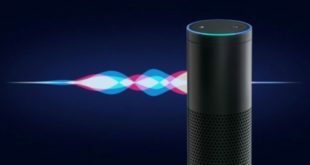 However, we can’t blame them since there are not that many differences and both of them are quite popular in the home automation sector right now. The best part is that Z – wave offer interoperability at application level thus making sure that you get as many options as you would like to have. Also, this is the only technology that offers backward compatibility across all of its versions. So if you are the prudent owner of a Z-wave product, you know you can pair it up with any other Z-wave appliance irrespective of when and where they were created. Next, we have Belkin. Now, to be specific, Belkin is basically the name of the manufacturer that owns the WeMo technology. But WeMo is not a wireless network protocol at all. However, it does function as a connector between the Wi-Fi and the smart appliances in use. This way you don’t have to buy yet another home controller for monitoring the home automation appliances throughout your home. In this case, the router will act as the centralized hub and enable the appliances to interact with each other, the internet and the Wi-Fi network. Wi-Fi is an ideal wireless network solution for short term use but when it comes to incorporating this technology in home automation, there are a lot of pitfalls. First of all, it sips power too fast and you can’t afford to do that when it comes to sensitive issues such as home security. You need a dedicated power outlet for each of these appliances. Apart from this, the cost of installation and maintenance of the Wi-Fi is quite high comparatively. All this leaves you with a very limited option when you are trying to create something for the average consumer. 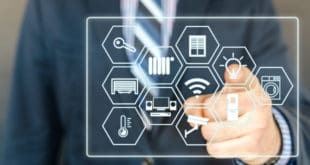 Though you can still get the most out of this wireless and swift network with the help of WeMo and other upcoming connecting technologies. Thread is basically the next generation of smart home wireless network. It is an attempt to bridge the gap between the demand and supply of the home automation market. Till now you had to trade off portability for power efficiency. But Thread combines the best of Zigbee and Wi-Fi. In fact, it is specially designed for the Internet of Things model that is popular in the home automation sector nowadays. This detailed comparison will help you make the right choice when you are out in the market, catching up on your home automation tasks. Zigbee is one of the most popular technologies available in the market nowadays. Thus it is only wise to learn about this technology as much as you can so that you can justify your home automation purchase later on. Smart home automation thrives on quick response time. That is why the Zigbee mesh network is a lot better than the star topology signal transmission model of the usual Wi-Fi networks. This makes it perfect for the Internet of Things home automation scheme where a lot of devices are present within the network. It is not always possible to connect all the devices to the main router as required in the Wi-Fi network set up. This problem has been solved in the mesh network of Zigbee where the device only needs to connect with one of network device directly. This solves a lot of power and time issues during everyday activities making it the perfect smart home automation solution. The signals that need to be transmitted can take a number of different routes depending upon which one is shortest to the target location. Nowadays, Wi-Fi has become a necessity. This means that you cannot escape its usage even if you have to adopt a new network alongside for your smart home upgrade. These circumstances make it very important that the two networks can co-exist without interfering with each other and causing undesirable distortions. Most of the appliances nowadays come with the setting for both Wi-Fi and Zigbee thus making them perfect for the dual use depending upon whichever network you lean towards. 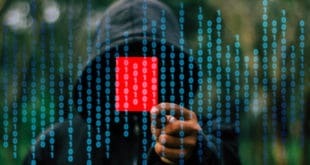 And even if you have both the wireless networks up and running at your place, you can rest assured that they will be working fine without getting in each other’s way. Zigbee follows the IEEE 802.15.4 certified interference avoidance techniques thus making sure that it is neither suffering nor causing any distortion to the wireless network available in the vicinity. If you are a smart homeowner, you know how important it is to keep updating your home network every now and then. Since the home automation sector is still in its infancy, it comes as no surprise that you will be discovering must have additions to your home every few weeks. Depending upon the urgency and your budget, you will keep on adding these latest smart appliances to your home network. And Zigbee makes it extremely easy for you to add a new device at any point of time and network. All the previously added devices also readily pair with this new device without making you go through much trouble. You don’t have to connect the new device directly to the main hub. You can just connect it with any other device on the network and it will become a part of the dynamic and efficient Zigbee mesh network. Which technology is the best for a Smart Hub and Why? After reading all this you must be feeling quite informed and a bit confused. So much information at once can be overwhelming. That is why a quick glance at the following section is a must. The following points will help you pick the most suitable wireless network perfectly suited to your specific home requirements. In the ever-changing world of today, you are constantly on the move. One day you are busy fine tuning your smart home network, the other day you are busy packing it all up since you got a better job offer on the other side of the country. This makes it very important to have a wireless network that can be installed and taken down with the same ease. Z-wave and Zigbee fair exceptionally well in this department. In fact, Zigbee scores a bit higher in this area since it is famous for being a low-maintenance network. You can configure, install and re-install it as many times as you would like in different corners of the earth. It will be delivering the same flawless performance as it used to give in the start. If you are investing in a high-end smart home device, you want it to give a performance worthy of its value. Z-wave appliance is one such range that is designed to be compatible with other Z-wave gadgets across time. This means you can take a Z-wave device from the 1990s and 2017, connect them together in a Z-wave network and they will be working together just fine. Z-wave gizmos have uniform backward compatibility which makes them a long-term use asset for your smart home. Technology is evolving pretty rapidly. Most of the devices you own today will be edging towards obsoleteness by the end of this decade. This is why you need to be highly insightful while deciding your next smart home purchase. 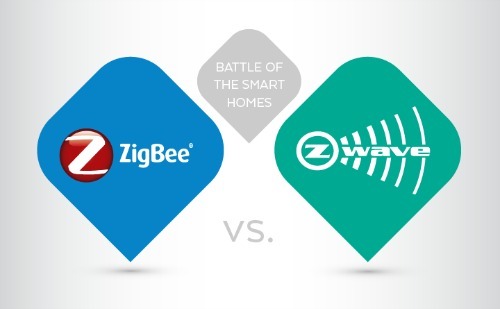 Zigbee and Z-wave are both equally good when it comes to long-term applicability. They got a head start of more than 10 years as compared to other smart home network protocols. This has enabled them to build the infrastructure and consumer demand in the market. 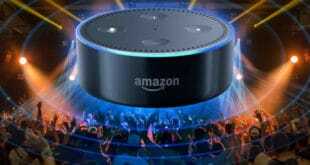 All this has led to affordable smart home gadget production which is created to stand the test of time. Smart home networks are the key to owning a reliable and robust home automation system. We hope that the information in this article helped you with whatever dilemma you were stuck in until now. If not then do suggest how can we improve upon it.